Joseph Cornell loved to draw and paint and collect things. With these drawings and paintings and collected treasures, he made marvelous shadowboxes—wonderlands covered in glass. And who did he most like to share them with? Children, of course. For they noticed all the details and took in all the magic Mr. Cornell had created. 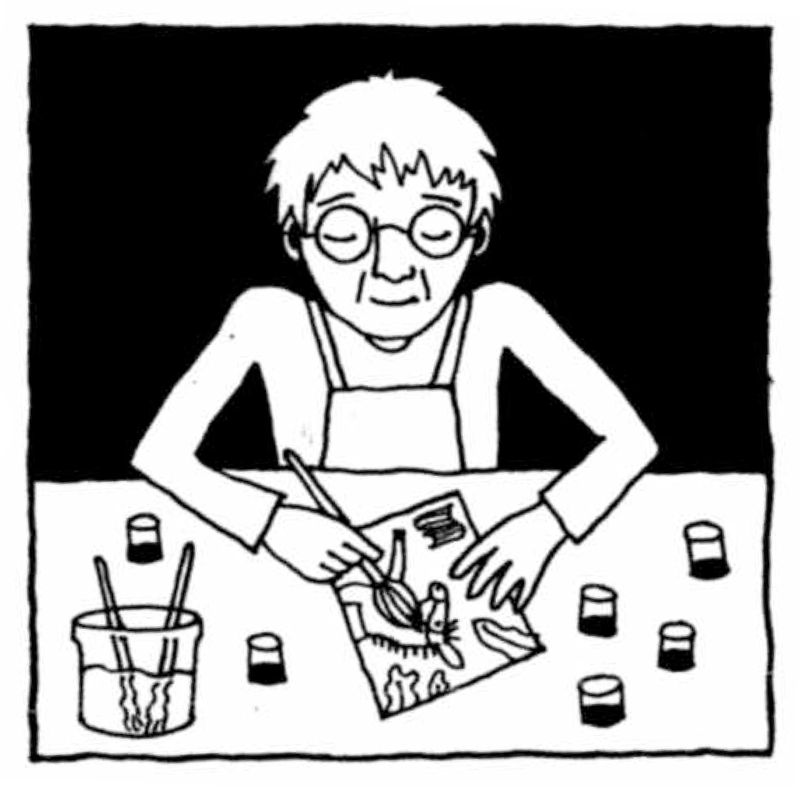 In this inspiring nonfiction picture book, Jeanette Winter has painted a moving portrait of a New York artist who always felt his work was best understood by children. "Dreams and memories were Cornell’s inspiration for his iconic boxes, and here they take up whole pages.... An author’s note about the last exhibition Cornell attended, a show held exclusively for children, makes his work even more accessible for the picture-book set. This breezy introduction to an uncommon artist serves as a welcoming invitation for budding artists to explore their own creativity." "Winter's lyrical prose is true to the gentle strangeness of Cornell's work." "A gentle homage to artist Joseph Cornell explores artistic inspiration for very young readers and listeners. . . . Winter offers a look at a form of artistic expression within reach of her audience. . . . Winter’s digitally rendered art is delicate and inviting. . . [she] captures in two dimensions a great deal of the evocative nature of Cornell’s three-dimensional work in a way that will be intriguing for the very young." 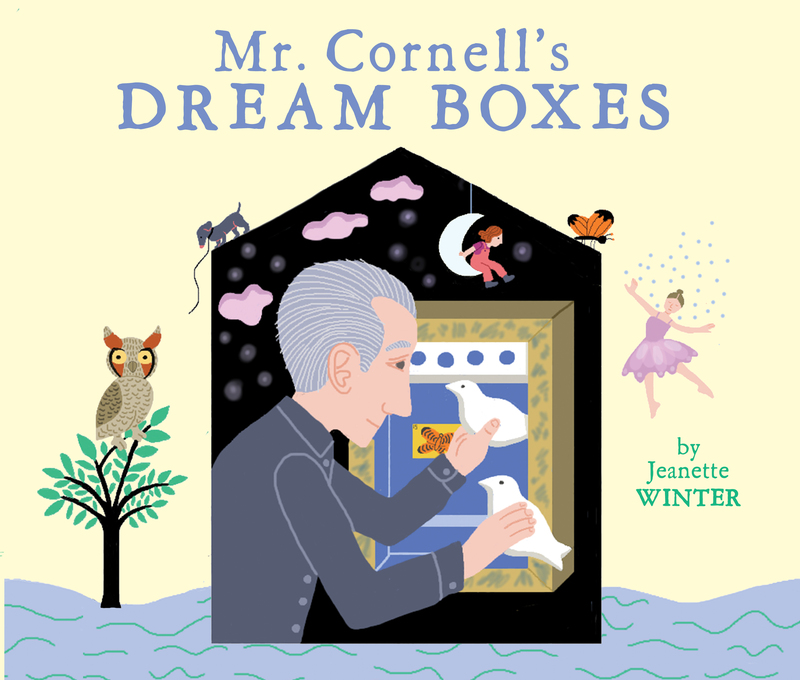 "Finally, a children's picture book about the artist Joseph Cornell. And for someone whose work was so connected to childhood, memory, and dreams, it's about time. . . . Winter's playful and collagelike illustrations re-create many of his well-known works in a style that complements Cornell's own aesthetic. . . . While concepts and theories about art and artists can often be difficult to present to young children, this picture-book biography is particularly accessible and can serve as an ideal gateway to more advanced books on the subject. Teachers and librarians can use this work to explore a unique contribution at the forefront of modern art; children will be inspired to dream and create on their own."